A chill is in the air, leaves are falling, and winter’s on its way. 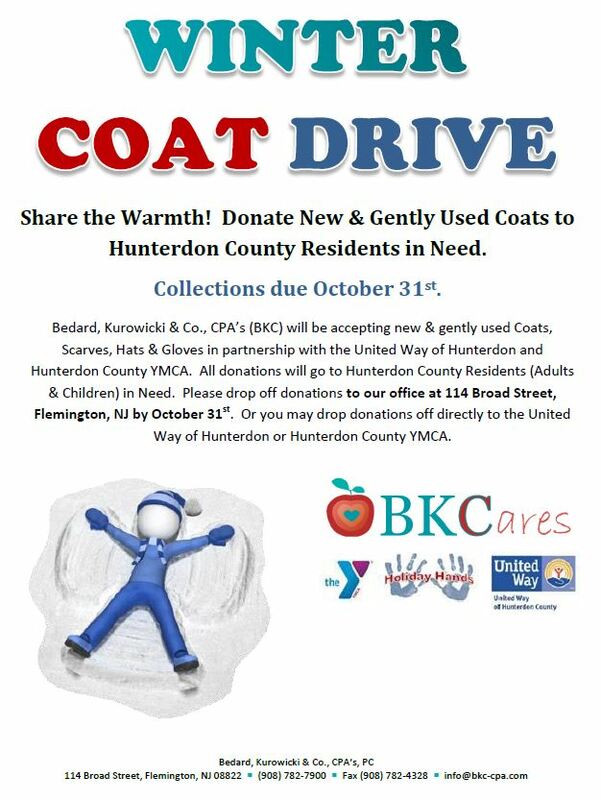 BKC would like to share the warmth with those in need, by partnering with the United Way of Hunterdon, and the Hunterdon County YMCA to collect new and gently used Winter Coats, Scarves, Gloves and Hats for Hunterdon County Residents (adults & children) who are in need. Donations are due by October 31st and will be collected by our front office entrance at 114 Broad Street, Flemington, NJ.